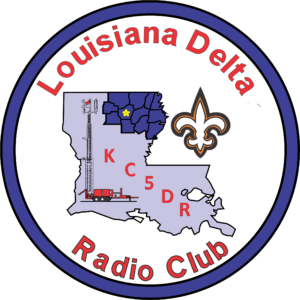 You have found the Home page of the Louisiana Delta Radio Club. We are based out of West Monroe, Louisiana, in Northeast Louisiana. The Louisiana Delta Radio Club is an ARRL affiliated club of about 50 members that operates 5 repeaters, a portable tower, APRS Network and a host of other equipment. We have a close working relationship with the Louisiana ARES organization, Office of Homeland Security, and operate numerous operating activities including Parks on the Air, providing support communications for events, so on. Our club formed in 2013 to fill a need in our community. Many of our members are members of other clubs and associations cross the ARRL District 8 region. Amateur Radio Tests are available at every club meeting, and or any time one needs to take one.